A blog post by Senior Collections Manager Jobi Zink. 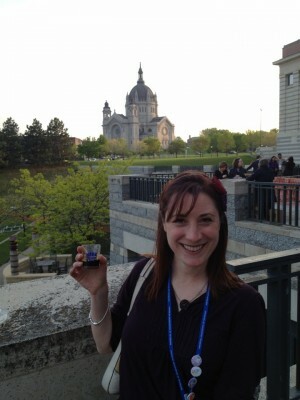 Last week I went to Minneapolis, MN for the AAM Annual Meeting. This 4-day conference is a gathering of museum professionals from museums of every size and type. Ideas are exchanges, best practices are explained and innovative approaches to keeping museums relevant to audiences are bandied about! 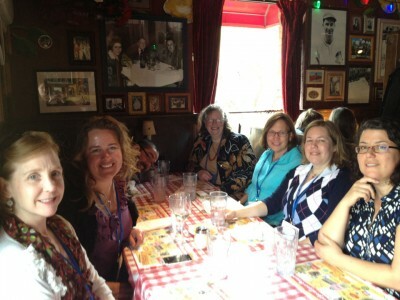 My first order of business was attending the Professional Networks Program Chair Meeting. That’s right! We’re planning for year’s conference in Baltimore. As the Registrar’s Committee representative,I want to be sure that there are sessions focused on collections. Fortunately, luncheons were a great place to talk about ideas, and learn what people liked (or didn’t like!) at the sessions they attended this year. I enjoyed the many sessions I attended at the conference: Collections Conundrums; Keeping Safe: Discovering and Handling Hidden Collection Hazards; Out from Behind-the-Scenes: Bringing Our Work Forward; Copyrights, Wrongs and the Creative Commons: Current Practices; Out of the Vaults and onto the Web: Models for Collections Access; and Free vs. Fee: How Admission Ticketing Impacts Membership and Annual Giving. 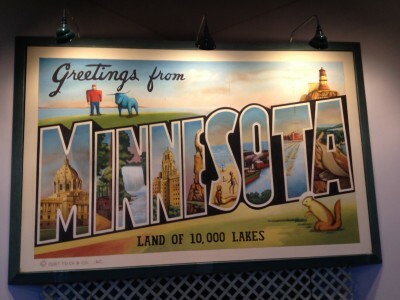 I am excited to share all of the information that I learned, since so much is applicable to the JMM. 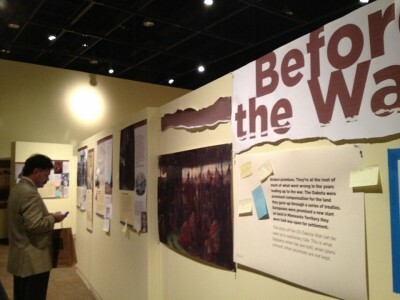 Minnesota History Museum opened their in-progress exhibition and allowed the museum community to leave their comments on post-it notes. The suggestions may be incorporated into the final layout. 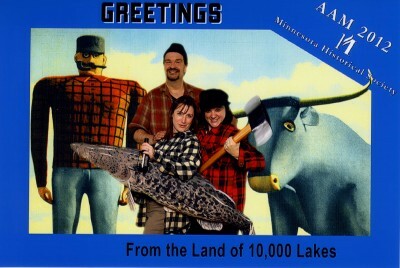 Fortunately, AAM staff knows that when museum professionals get together, they really want to do is see each other’s museums. On-site insights (small tours with a specific curatorial or educational focus) and evening events are a perfect way to see behind-the-scenes. 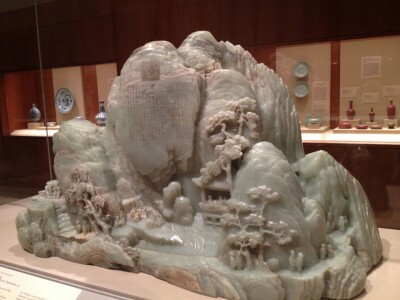 The Asian art collection at the Minneapolis Institute of Art is quite impressive. 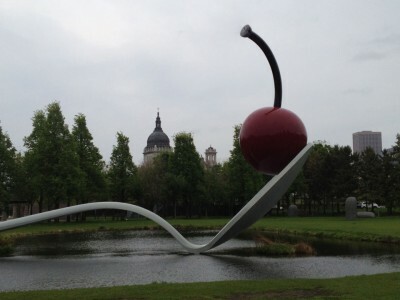 Claes Oldenberg’s Spoonbridge and Cherry are the highlight of the Minneapolis Sculpture Garden. It was lovely to walk through the gardens at twilight! The hit exhibit at the Walker Art Center is Absentee Landlord by the Baltimore filmmaker John Waters, but the rest of the museum collection is not to be missed either! 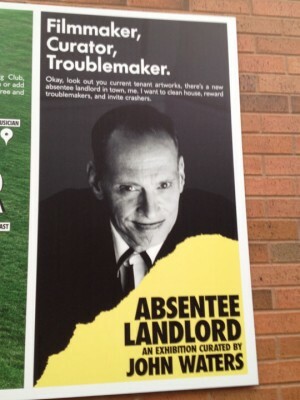 I came all the way to Minneapolis to see John Waters? 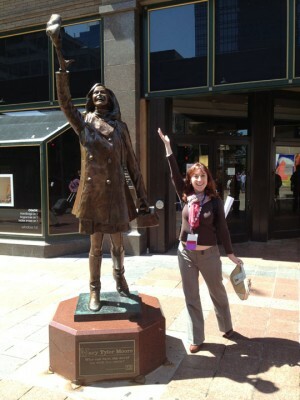 Not to worry, I did visit Minneapolis icon Mary Tyler Moore on my way to the airport!